Please note, this is NOT an offer to subscribe for shares. The Unique Property Bulletin is a not-for-profit entity and run by the members for the benefit of the members. The issue of a share certificate, whilst contemporaneous to donations, is not mandatory and purely at the discretion of the company officers. Similarly the issue of a £10 share certificate in Real Dragons’ Den Ltd., is not a mandatory exercise but a complimentary token of appreciation for your contribution to our main Unique Property Bulletin website (here). For those unfamiliar with the Unique Property Bulletin it was through this website’s property club, and the financial success of members in that arena that led directly to the “Real Dragons’ Den” project where, with our network of business angels, we were able to help support the reopening of 24 closed shops, hotels and small factory units over the years. We are currently regrouping our earlier friends and colleagues who helped create over 100 jobs into a new “Real Dragons’ Den” initiative. You do not need to accept membership of Real Dragons’ Den Ltd., but if you choose to join, you will be made very welcome. Further information about Real Dragons’ Den Ltd., can be found on our website (click here). Whilst company information about current officers, accounts and reports etc., for Real Dragons’ Den Ltd., is available here. After you have donated to the Unique Property Bulletin, we have made a special feature article dedicated to your thoughtfulness, and which we trust will be of interest. 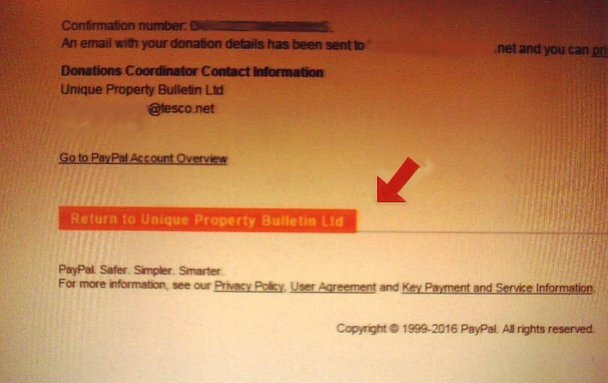 You will need site PASSWORDS and these can be obtained by clicking the “Return to Unique Property Bulletin Ltd” web-page link from the Paypal page..